The new eyeliner technique to up your beauty game | HELLO! It's the classic beauty look loved by everyone from Kate Moss to Adele, but there's no denying that winged cat eye eyeliner can be hard to master. Cue a new eyeliner technique that is not only easy to recreate but totally Instagrammable too – the confetti flick. Championed by make-up artists and beauty bloggers Katie Jane Hughes and JKissa, confetti eyeliner sees the traditional block line switched up for a dotty version, which can be as colourful as you like. While Katie opted for a muted monochrome flick, other beauty fans have created vibrant multi-coloured designs which would be perfect for a statement going out look. Want to try it for yourself? Start by picking a matte eyeliner and dotting randomly along the lash line, continuing to go out and up at the end where your cat eye will finish. Then switch up for another shade and dot randomly between the gaps. You could then mix it up for colourful or metallic eyeliners, dotting randomly to fill in the gaps and create a pretty speckled line. Voila, your perfect party beauty look! 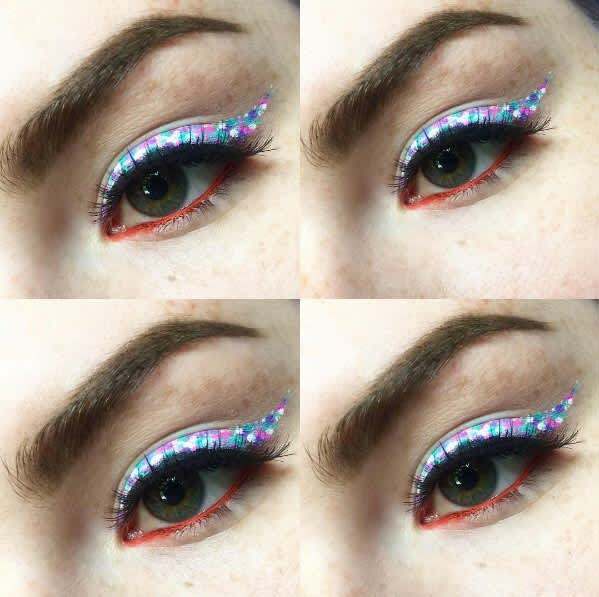 The liners we love include MAC's bright eye pencils (£14) from their limited edition "Soft Serve" collection and Urban Decay's Heavy Metal glitter eyeliners (£14) which will create a dazzling look. Idol Eyes crayons (£4.49) from Kate Moss' Rimmel collection offer a budget take on the trend, as do Barry M's metallic liquid liners (£4.79). 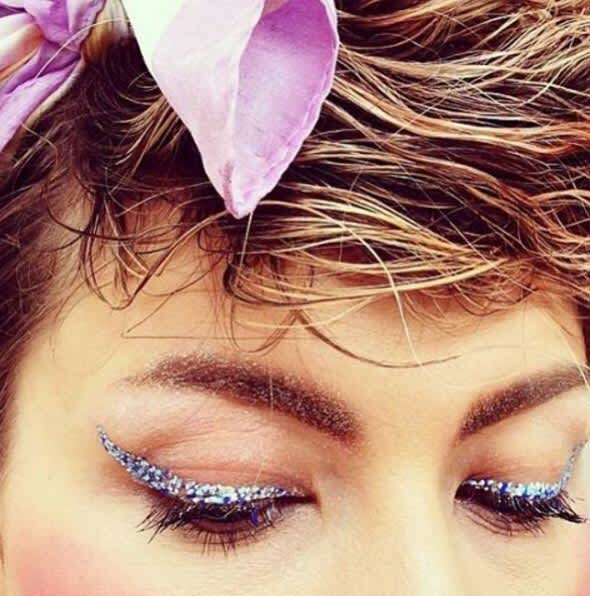 Will you be putting the confetti eyeliner trend to the test?